Manager Steve Riley brought in Jeff Smith for Fred Woodhouse. Bishop started rather subdued in the first 15 minutes and it took 22 minutes before Bishops had their first real chance of the game when McCarthy beat the Ashington defenders only for his shot to be blocked on the line. Both sides had some chances and on 40 minutes good work from Thompson saw his cross headed into the keepers arms by McCarthy but Ashington proved they are dangerous opponents when on 44 minutes Bulford lobbed the ball over the advancing Wilczynski but the ball fortunately went just wide. 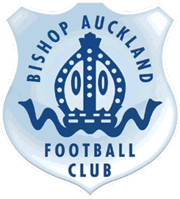 Bishops started brightly in the second half playing some good football and on 60 minutes Scott McCarthy attacked the Ashington defence down the right and crossed the ball for the advancing Jeff Smith to score the make it 1-0. Like Washington on Tuesday night Ashington made it hard for themselves when Thompson attacking down the left was fouled by Bulford who was given a straight red for that foul. Even though they were down to 10 men Ashington made Bishops work hard for their victory. The leagues’ leading scorer Andrew Johnson had the ball in the net but his effort was ruled, correctly, offside and good work from substitute Ian Ward who held off the efforts of two defenders to stop him shooting and his powerful shot was parried by keeper Conor Grant who then pounced to stop Priestley Griffiths from scoring with the rebound.